School membership EASSW Fee is per year. Please check out the Categories and Fee Structure page for more information on the fee structure and payment instructions. Use the form below to begin the registration process. Note: Fields with an * are required. This is very important for us in order to identify members and the payment! In case you forgot your Member N°, please fill in 9999. Wait with the payment until we have sent your Member N° by e-mail. In case of a new member, put 0000 and wait with the payment until you have received an e-mail with your N°. We yearly send an invoice by post to all the member addresses of our database. Do you want to receive a receipt by e-mail after payment? Candidates who apply from countries out of Europe have to provide specific reasons to register including informations with regard on cultural and historical links with Europe. 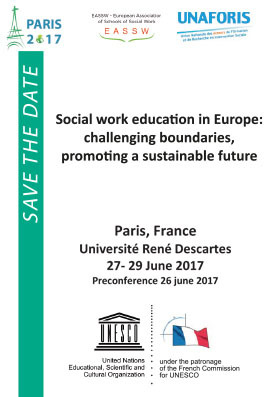 Do you have specific expertise in your SW department/faculty relevant for exchange on a European level? We plan to advertise the information on this website.